Get ready for some fantastic, door-knocking fun with this crazy collection of quirky quips that will make you open the door laughing. 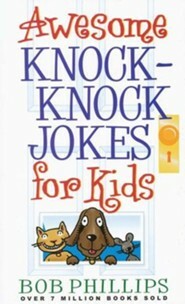 Friends and family will get a kick out of these slap-happy humor and grin-inducing silliness of these doorknob-turning wisecracks! Recommended for ages 6 and up. rolling in the aisles with laughter and secretly taking notes. the ground in awe of the most awesome knock-knocks ever invented. 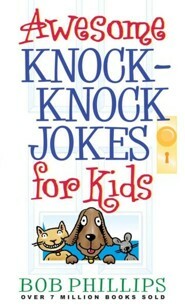 I'm the author/artist and I want to review Awesome Knock-Knock Jokes for Kids - eBook.